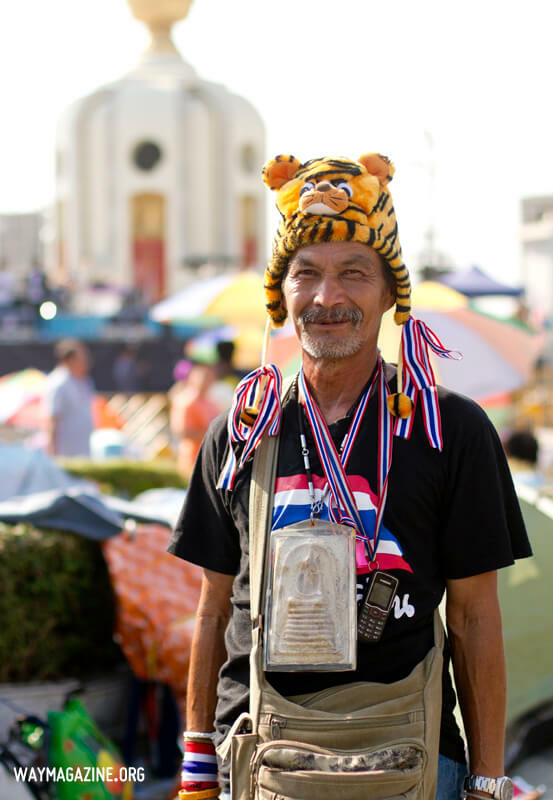 Most visitors to Thailand might have noticed that many Thai people wear amulets (พระเครื่อง prá-krûeang). 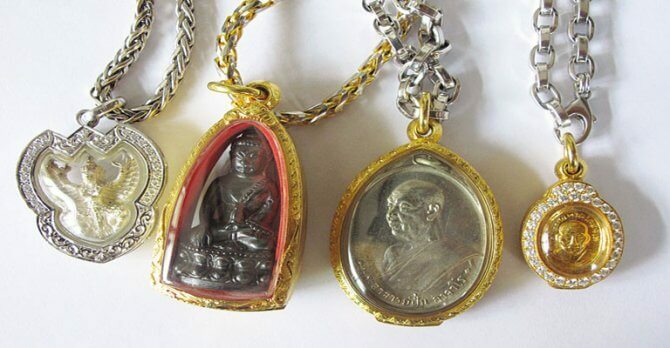 Thai amulets are special Buddha images. They are made of an almost infinite variety of substances , gold, silver, platinum, copper etc. There are probably a million different styles of Buddha amulets in Thailand. The amulet is worn around the neck often with gold or silver chain. Amulets are believed to possess a variety of sacred powers such as the ability to protect the wearer from accident or illness. Miracle stories about how an amulet saved someone from drowning or helped business occasionally be found on local newspaper. 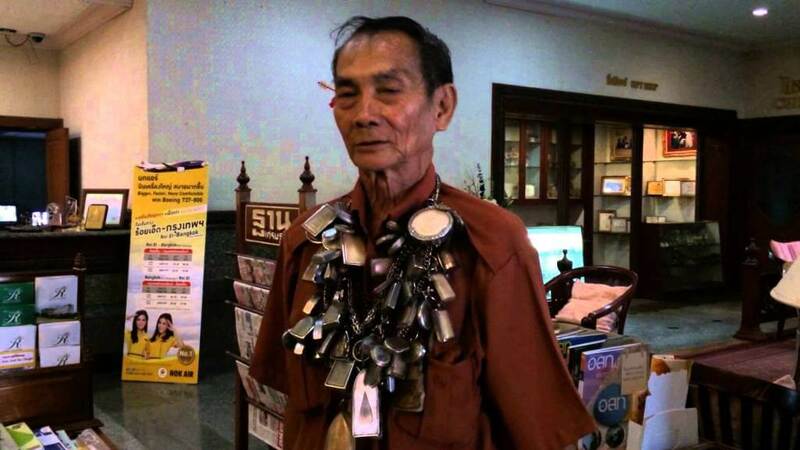 The amulet business in Thailand is vast. The value of an amulet has no correlation to what they are made from. Instead, the value of Thai amulets is all in the reputation of the creator of the amulet, along with the subject of the amulet. The amulets are mostly connected to the monk who first made them. Amulets made from compressed dirt and clay can command prices in the millions of Thai baht. In US Dollars, sometimes an amulet can sell for 1 million dollars – it is not unheard of. The reason is that there are certain amulets said to have more power than others. Buyers pay for the power of the amulet, to help them through life. 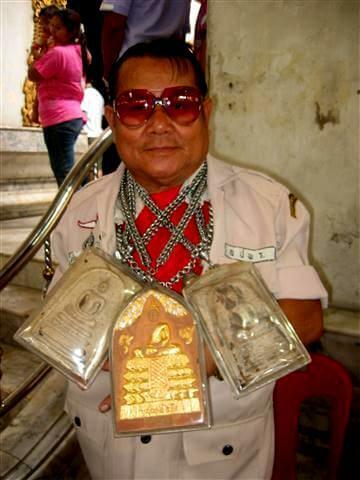 You can often see on television, high society Thais wearing amulets that are worth millions of baht. Amulets are something of a status symbol for many Thai people as well. 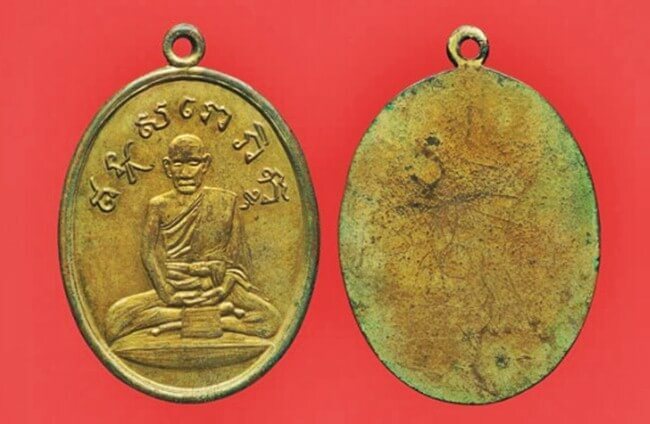 เหรียญหลวงปู่ไข่ Luang Puu Kai Amulet from Cherng Lane temple is the most expensive amulet in the world. It is made of copper, the first version was made in year 1930 and it believes that there are less than 70 pieces. It has value of 30 million Baht each. “อัน /aun/” is a common classifier for small objects, but amulets are respectable and holy item so we don’t use อัน /aun/ the word “องค์ /ong/” is used. The protective casing is called “กรอบ /gràwb/”. I am afraid I don’t have knowledge about amulet sales. 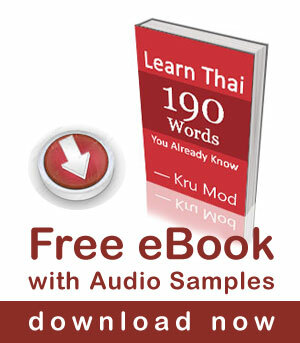 Short but very interesting contribution about thai culture. Keep up your great work! The amulates I get, but what is with the rose coloured glasses? I am not sure what rose coloured glasses is. I would like to learn more about amulets. Are there any litterature in English to be recomended? I am sorry I am not aware of this subject much.